Sew Kawaii! was published in December 2011, and before the book I was making cute clothing and accessories as a hobby for my Etsy store, craft fairs, and anime conventions. 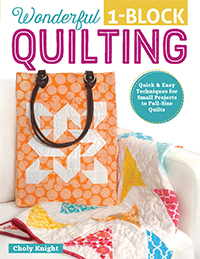 I was approached by Fox Chapel Publishing to write a book about all the cute things I was making and this is what I came up with! Project info: Projects are illustrated through numerous full-color photographs explaining every step. Pattern info: Patterns are printed in the back of the book to be enlarged at home or your local copy shop. 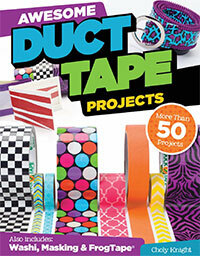 See my own tutorial on enlarging craft book patterns for help! From left to right: Dumpling, strawberry and layer cake plush assortments. Square, cube, and jellyfish purse assortments. Character hats and scarves. Sew Kawaii! was my first book, and as such it has so much of my heart and soul in it //^w^// The projects are things I’ve been making for years just for fun, so it fills me with such joy to be able to share them all with you. Of course the name, kawaii, is Japanese for cute, and is used much the same way in English to describe everything that’s sweet, adorable, or loveable. I’ve been a fan of kawaii style since I was a child, and it has unknowingly become a huge part of my life! At the young age of 5 I used to troll through the flea markets with my family and I would come across imported goods from Asia, and I was always mesmerized by the kawaii characters they used to decorate their packages. It wasn’t until I was 9 that I found a few limited Hello Kitty items in a small gift shop during a school field trip. I didn’t have the money to buy them, so I just sat and stared at the adorable tiny figurines and stationery until our chaperones called us to leave. I remember explaining to my friend how much I wanted those trinkets and I didn’t know why. I learned later it was the sweet and simple design so prevalent in kawaii style that had fully captivated me. I found my first Sanrio store at age 12, and I saved every bit of allowance money I had to stock up on stationery of Badtz Maru, Little Twin Stars, and Chococat. I was completely smitten at this point and there was no stopping me. By high school I had learned about anime and manga, and really started to immerse myself in Japanese culture, truly expanding my own sense of style and design so I could incorporate it into the things I made. So this book is a culmination of all those things. Each project is an example of how kawaii style has affected my life and my aesthetic. In it I show you how to make adorable keychains and charms, which are perfect for beginners, all manner of accessories with awesome kawaii characters and decorations, as well as a few pieces of clothing or two. While you need a little bit of sewing familiarity to get started, I try to break it down to make it as simple as possible to make these projects and really sink your teeth into decorating them with awesome characters and designs. I think seeing a face smiling back at you while you make these projects is what helps keep you going as a sewer! Instead of seeing a bland length of fabric getting shaped into a dull coat or pair of pants, you have a sweet little panda or kitty cheering you on! 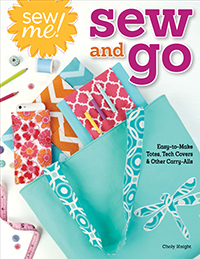 Now you’ll have projects that are as fun to make as they are to finish and wear, and when it’s hard to get the motivation to do something yourself, every little bit helps! From left to right: Blob plushies, octopus plushies, and sitting plushies. The creation of my animal hat projects came together during my times spent at anime conventions. Fans really loved dressing up as their favorite characters, though some of them were the cute mascot characters that were often cats, bears, rabbits, etc. I found a quick shortcut could be to make a simple fleece beanie with attached ears so you could embody your favorite character quickly and easily without donning a full costume! Making the hats for all other kinds of animals seemed like the next logical step, so I created interesting characters like the Broken Bunny hat, Strawberry Kitty, and very popular Zombie Kitty >w< They’re perfect for kids because they’re fun and cute (and maybe a little edgy and cool for the older kids!) but also adults that are just kids at heart and love to wear things that attract attention. They’d be great for snowboarding and ski vacations since there’s an earflap variation you can try, as well as just a fun day out on a breezy day spent in your favorite quirky part of town! There are projects for a Jellyfish purse, a flat purse with bird, seal, and platypus variations, or a cube purse that can be made up into a fox, bunny, or block of tofu. Though you can really use your imagination and decorate them any number of ways! Perhaps my favorite chapter is the one for plushies. Ever since I got started sewing I had been wanting to make my own stuffed animals, and if you try making them on your own you’ll see it’s tough! There’s usually a lot of meticulous hand sewing involved as well as a lot of times when you need several sets of hands to hold everything in place while you sew ;o; Getting the look just right can depend on how you held your pieces as well as how meticulous your eye is while you attached them together. 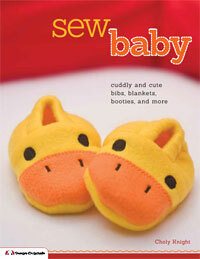 I knew that when I worked on this book, I wanted to take the guesswork out of sewing plush animals. 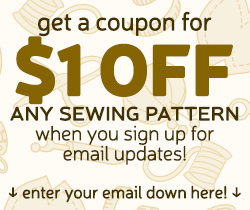 The patterns are very simple and straightforward and don’t use a lot of hand sewing. Though you could certainly substitute it for hand sewing if you wanted! 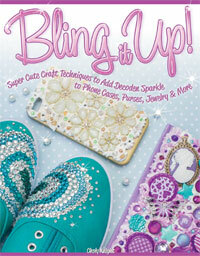 The pieces line up as they should so you know that your end result will look just as cute as the picture. Also the faces are applied with fabric and machine stitches rather than fussy hand-sewing and embroidery, which can be really difficult to get the hang of if you’re new to embroidery! From left to right: Square pillows, log pillows, and sushi quilt. Making your own plush animals is even easier with all the new wonderful faux furs that are on the market now ^-^ Fabrics like minky rival the feel of cashmere at a fraction of the price, and in my book I’ll show you how to use them to your advantage! You can make some truly cuddly friends that look much better than any carnival-won plush toy – and they’ll last forever too because you made them with your own hands! You can make them in the colors you like and just the right smile. 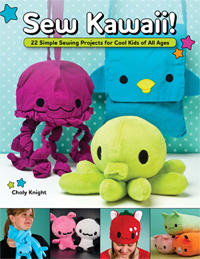 You’ll see projects for making an octopus, llama, platypus, and an adorably squishy blob plush. Lastly there’s also the sitting plush, which is probably my favorite. It looks just like a classic kawaii character with its oversized head and little body. With a heapful of beans in his behind he sits perfectly upright to keep you company at your desk or bedside, and there are options to make a panda, bunny, kitty, or even an elephant! The end of the book really goes out with a bang by including some fabulous home decorating projects, including a set of throw pillows, a fabulously plush log pillow, and a bathroom caddy with amazing character appliqués. Though my favorite by far, is the Sushi Quilt! 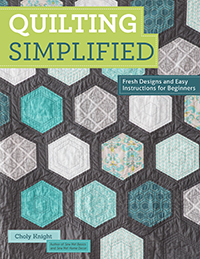 It’s a cuddly soft lap quilt covered in 9 blocks with different sushi appliqué. I absolutely love quilts, and this embodies a lot of my loves: food, Japanese culture, and kawaii style, all wrapped up in a cuddly blanket. So all in all, despite being my first book with lots of emotional ups and downs, I really put all I had into this book. I hope you’ll consider buying it for yourself or someone with a fun and quirky sense of style. And as you flip through the pages you’ll enjoy everything I have to offer to introduce you to how awesome kawaii style can be! It can be fun, playful, cute, quirky, edgy – all the facets of wonderful people who worn and purchased my products over the years, and now you can show of those sides of you too! 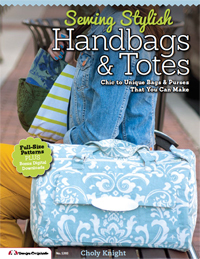 Hi, I recently purchased this book and printed out the patterns for the jellyfish purse. I did what the book said and enlarged the patterns in the back by 250%. Are the patterns really that big? The purse didn’t look that big in the picture, albeit the only size relation I could base it off was the picture of it in your hand. Anyway, what I mean is like the pattern for the bottom portion of the purse is about 2 of my hands in diameter. Is it supposed to be that big or did I do something wrong? I hope that helps! And don’t hesitate to ping me again if you run into another question! Thank goodness! I thought I was doing something wrong >.< Thanks so much for clearing that up. That also just answered another question I had with whether the seam allowances were already included. 😀 I can't wait to get started on making the jellyfish purse. It's just so adorable!!! Oh, I also just noticed while I was reading the instructions for the jellyfish purse, is there a pattern shape for the ruffle that goes along the bottom of the jellyfish because I don’t think I saw it in the back. Yes there is 🙂 It should be just to the left of the bottom piece we were just discussing. 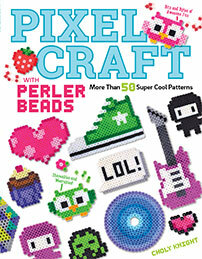 The book has you piece the pattern together, but it’s basically just a long rectangle, 3 1/4″ x 34″. So if you’re good with measuring you can just cut that out and skip piecing together the pattern for the ruffle. My only concern is really the ruffle because that is actually a lot larger than the 2/3 yard of fabric. Could you lay the piece horizontally — that is along the crosswise grain of the fabric? That was the original plan when I designed the pattern ^-^ hopefully your fabric should be wide enough. I think I figured it out. I think when I printed each pattern piece alone, for some reason it turned out bigger than when I printed the entire page all together. Thanks! Eh, don’t mind me, I’ll probably be pestering here. I also want to begin making my own stuffed animals, but the best I can do so far is from making a 2-D (ish) bunny from old shirt scaps., Any tips ma’am? You don’t have to give your secrets up (-/_;) starving artist concept and all….just a curious weeaboo who is addicted to anything chibi and kawaii..
Feel free to let me know if those work out, so if they don’t I’ll see what else I can offer. 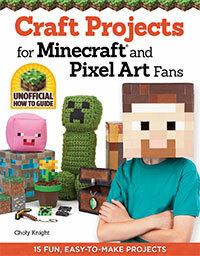 I bought this book and am having trouble sewing the octopus nose onto the body. Any tips? Hmm, I think the best thing you could do for this step is perhaps to hold the nose in place with a few dabs of glue before sewing. If you have basting glue or fabric glue that would be ideal, but even a few dabs of Elmer’s glue should hold it in place enough so the nose sticks out like it does without falling off as you sew 🙂 I hope that helps, but let me know if you still run into any problems! I want to make a panda plush but I’m a REAL beginner how hard would you rate it? I’d have to say the panda plush is one of the harder projects so you might not have much luck tackling it as a beginner The average beginner might better equipped after a dozen or so projects are under their belt. You might be better off adding panda features to the blob plush or the Wampa Plush pattern found on my site here. Let me know how it goes and if you need any more guidance! What’s the best way to 250% increase the patterns? Hello! I saw this website just yesterday and read all the comments about how wonderful your book is! I just set out today and purchased my own copy. i wanted to thank you for all the hard work you put into this and say that i absolutely adore the designs, especially the plush platypus, hats, and jackets. 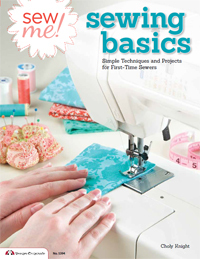 I realize basic sewing skill is required and although i have none i think this will help as an interesting starter. I plan on making every single one of your projects this summer. I look forward to the adorable fruits of my labor thanks to your own planting and soul that you put into this wonderful book. Thank you. Thank you so much for the offer! I look forward to showing you and i will most definitely take you up on that offer should need be. Hello! I’ve had your book for some time now and I’ve also recently gotten an embroidery machine. I was wondering if it is acceptable for me to embroider the faces of the animal pillow logs and then sell them? I have a little etsy shop and I go to craft fairs on occasion. 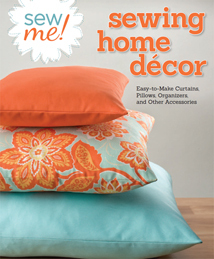 I know the book says you’re not allowe to sell the patterns themselves, which makes sense. I’m just not sure if you are allowed to sell the things you make from these patterns since the book doesn’t seem to say one way or another thank you!! As you said, you’re not allowed to sell the book patterns or instructions themselves, but whatever you make from the book does fully belong to you so you’re free to sell it. Thanks so much for buying my book! I’m glad you’re enjoying the projects so far! 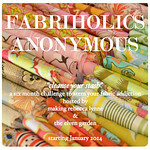 As for where I get my minky, I find that fabric.com has a good balance of selection and price. If you keep an eye out for sales and specials, it usually goes 15% off every other month or so. If your local Joann’s has any, it will likely be called “ultra cuddle fleece” instead of minky. It’s not exactly the same as minky but still very soft. I really hope that helps! Feel free to ask any more questions if you’ve got ’em! I’m working on the sushi quilt. The block says it’s 10 3/4″x10 3/4″. Does that include the seam allowance or do I need to add the 3/8″? It does include the seam allowance 🙂 So no extra addition necessary! I would like to sew a blob plush, but most of the patterns online are only available if you buy them, and i was wondering if you have a template. Your stuff is great, thanks! It has the basic blob shape if you take away the ears and tail and extra stuff.